Customer segmentation analysis helps companies analyze customers and gain a clearer picture of their customer base, which, in turn, will enable them to segment their businesses into distinct groups. The adopted customer segmentation models differ from industry to industry depending on end goals and future objectives. Moreover, customer segmentation analysis enables organizations to cluster their customers and target those segments with suitable marketing strategies. Segmentation created on purchasing patterns: Models based on purchasing patterns of customers enables firms to effortlessly spot purchase patterns which can further help devise roust profiles for segmentation. Segmentation created on customer goals: This model is the result of grouping multiple data sources including information gathered from the geographics, demographics, and customer behavior. The gathered information is categorized into wider profiles that are centered around the specific goals of customers. Segmentation created on touchpoint engagement: Customer touchpoints helps retain customers by examining their post-purchase behaviors and the way they interact with a firm’s business objectives on a regular basis. 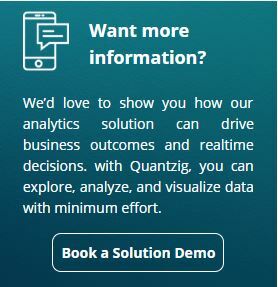 At Quantzig, we firmly believe that the competences to harness maximum insights from the influx of continuous information around us will drive any organization’s competitive eagerness and success. Our objective is to bring together the best combination of analysts and consultants to complement vegan food products manufacturers with a shared need to discover and build those capabilities and drive continuous business excellence through robust customer segmentation analysis and models.